Over recent years International Rugby League has been played in a number of towns and cities that wouldn't be considered to be in the 'heartlands' of the game. The 2013 Rugby League World proved through the attendances a places like Bristol and Wrexham that there is an appetite for International Rugby League in many parts of the country. 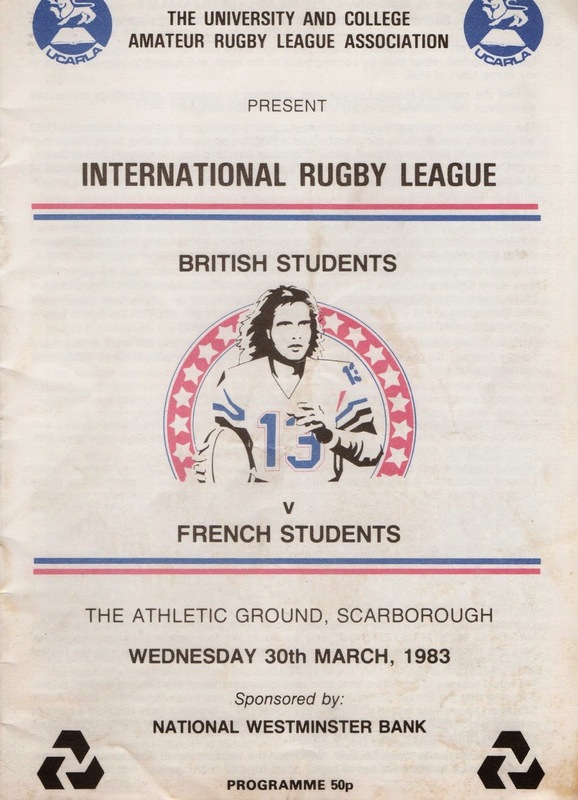 Sadly, the opportunity for International Rugby League to be played again in Scarborough has probably gone following the demise of the soccer club and the demolition of the ground where the 1983 Student International was played. Although, ironically, two of the stands from the Athletic Ground still have a connection with Rugby League as they were bought by Featherstone Rovers. 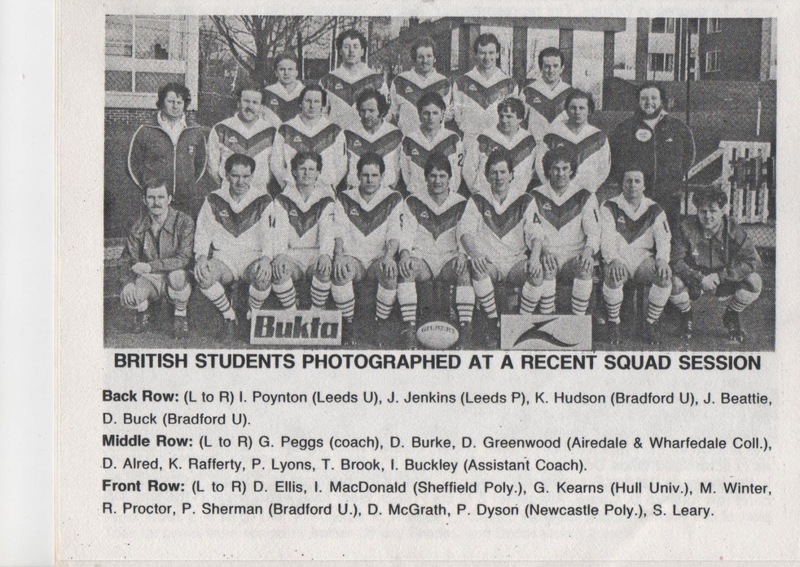 The British Students team contained a number of players who featured in the teams that played against the New Zealand Universities when they toured the UK in 1984.